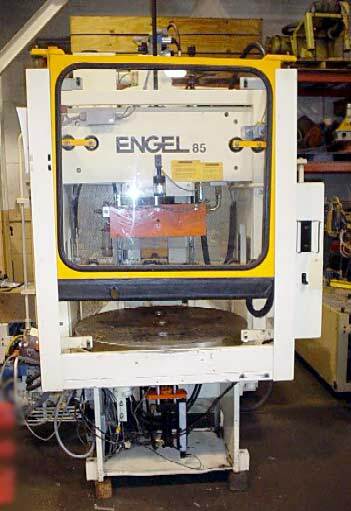 85 ton Engel Vertical Rotary - Installed new in 1996 - Model ES330H/85V - 8.3 oz. shot - EC88 Controller - Only 21,000 hours! Platen Size :::: 21.85" x 13.23"
Daylight :::: 22.83" / 11.02"
Shot Size :::: 8.3 oz. This Engel has very low hours for its age. Please get in touch with sales for a pricing or any additional information that you may require.